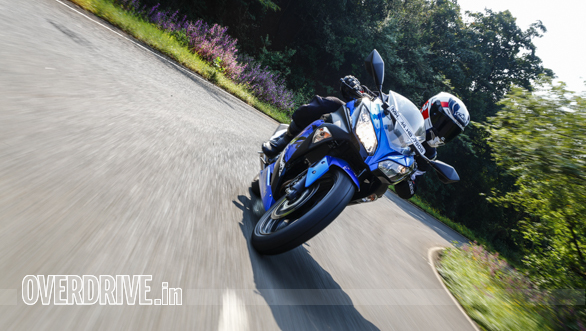 The Kawasaki Ninja 300 had a lot riding on it when it was launched in India, a few years ago. It was expected to replicate the success of the Ninja 250 but, as it turned out, the Ninja 300 was anything but. While the bike was pretty good, it was the prohibitive pricing (Over Rs 4 lakh on-road Mumbai) that turned out to be the proverbial nail in the coffin. 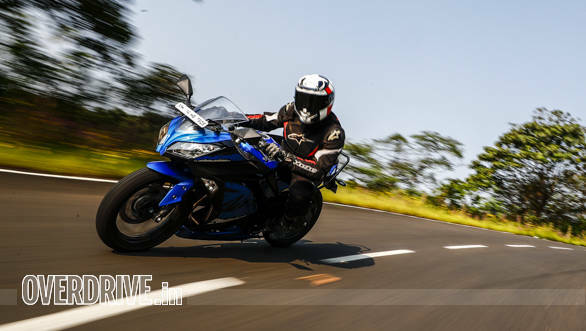 With the launch of the new Ninja 400 this year, which sits at a rather astronomical price point (Rs 5.7lakh on the road Mumbai) Kawasaki decided to localise a number of components on the Ninja 300, in order to drop the price. This, in turn, made the step up to a Ninja 400, a significant one. At Rs 2.98lakh (ex-showroom) the 2018 Ninja 300 is Rs 62,000 cheaper than the previous year's model. And you get some essential kit that was absent in the previous machine. 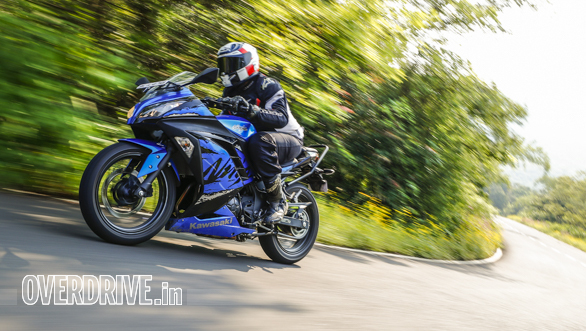 So how good is the most affordable twin-cylinder motorcycle in the country? The new Ninja 300 wears the same panels as its predecessor, however, the new metallic paint job and a smattering of graphics lend a fresh appeal to the baby Ninja. I actually like the bold Ninja lettering on the panels and the new Candy Plasma Blue paint scheme is very eye catching. That said, green is the colour of Kawasaki and personally, it's the one I'd prefer. The styling is a mix of aggressive and sporty and the bike still looks contemporary, until you park the new Ninja 400 next to it. Though most of the components, like the panels, wheels, tyres and wiring are locally sourced, there is no perceived drop in quality levels. The fit and finish are just as good as it has been with no panel gaps or mismatched paint to speak of. The switchgear feels high quality as well and there's this nice, tactile feel to the switches. That said, I can't really wrap my head around the hideous grab rail that mars the overall look of the bike. I'm sure most owners will get rid of that thing the moment they take delivery of their bike. The 296cc, liquid cooled parallel twin engine is the same unit that we've seen in the older bike. It produces 39PS at 11,000rpm and 27Nm at 10,000rpm and is paired to a six-speed gearbox. The motor is quite tractable at low speeds and you can pootle around town in sixth at speeds around and upwards of 50kmph. However, the engine is in its element only post 7,000rpm. It also sounds a lot sportier as the tacho needle swoops towards the redline. 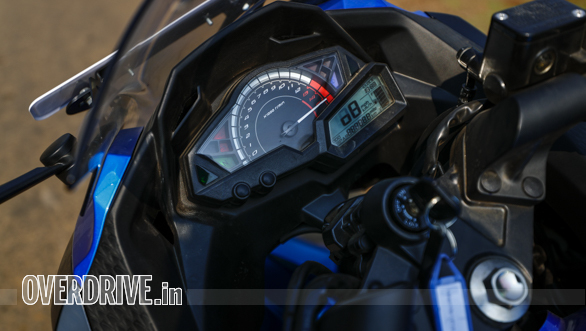 For those of you who enjoy spirited riding, it's best to keep the engine spinning above the 10,000rpm mark as that's where the sweet spot lies. 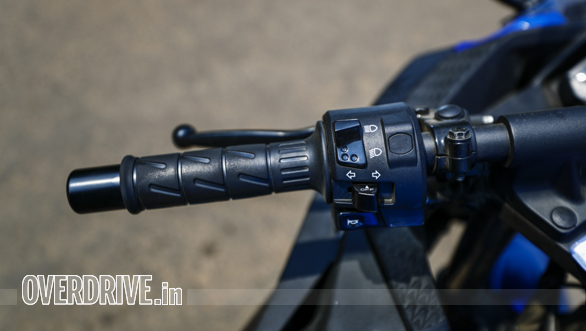 Throttle response is crisp allowing the rider to modulate inputs precisely. The 0-100kmph dash is dispatched in 7.28s which is decent when you consider its 179kg kerb weight. Another aspect about the engine that I really liked is its refinement. There are barely any vibrations to speak of in the low and mid-range and you'll only feel a tiny buzz in the clip on handlebars once you approach the redline. What this means is that the engine runs stress free at speeds around 100-120kmph which makes the Ninja 300 an excellent touring machine as much as track day bike. And it's quite efficient as well. 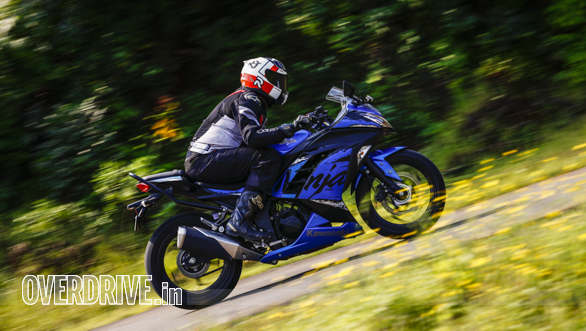 It delivers 28.5kmpl in the city and the figure climbs to 32.2kmpl on the highway. Consider the 17-litre fuel tank and the Ninja 300 offers a good tank range, again highlighting it's touring cred. The Ninja 300 uses a diamond type steel frame with conventional, 37mm right side up forks at the front and an adjustable, link type gas charged monoshock at the rear. 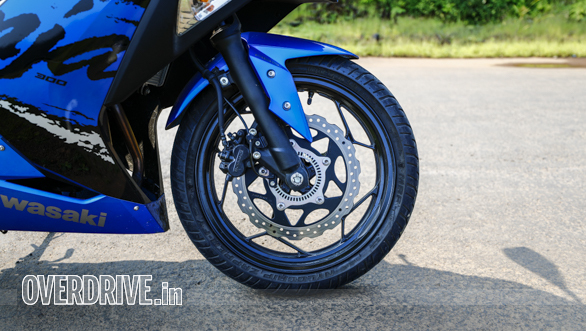 The set-up is stiff yet pliant and the Ninja absorbs most of the imperfections on the road. The new MRF Zapper tyres are way better than the budget IRC tyres that the older model was shod with. The grip levels are significantly better, allowing you to push hard in a corner. While the handling is not sharp like the Yamaha R3 or thrilling like the KTM RC 390, thanks to a relaxed geometry, the Ninja 300 is definitely sure-footed. Turn in is precise and the long wheelbase aids mid-corner stability. 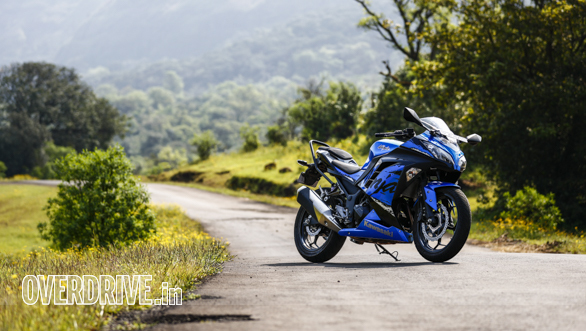 It's this friendly nature that makes the Ninja 300 a good learning tool, either up a mountain road or the race track. One of the biggest highlights of the new Ninja 300 is the new locally sourced brakes (by Endurance) with ABS as standard. While there's adequate feedback through the lever and the safety net of ABS gives you the confidence to go hard on the brakes. I do wish the brakes had a little more initial bite, though. Okay, it's time we address the elephant in the room and that's the fact that the Ninja 300, as a product, has grown long in the tooth now. Globally, the Ninja 400 has replaced the Ninja 300 but it's eye watering price tag in India only creates a huge gap between the two models. 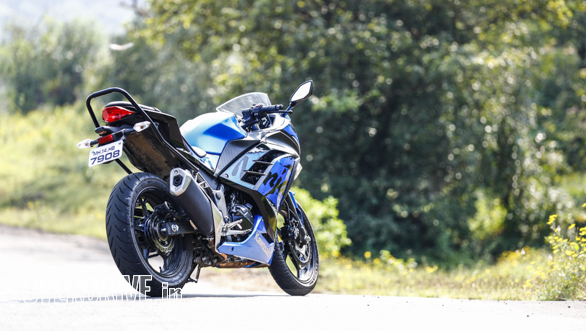 At Rs 2.98 lakh, the Ninja 300 is a sweet deal if you consider what it offers. You get a twin-cylinder motorcycle that's well built, can handle daily commutes, touring as well as the occasional track day. The addition of ABS is like the cherry on top of the cake. 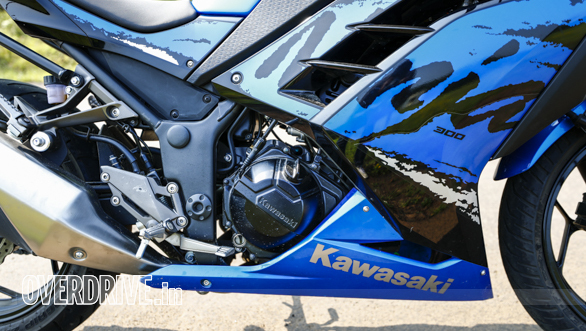 If you can get past the thought that you are essentially buying a motorcycle that was launched in 2013, and if you've always wanted to move up from a single-cylinder motorcycle, the 2018 Ninja 300 makes a strong case for itself.